All ready for you to unpack! 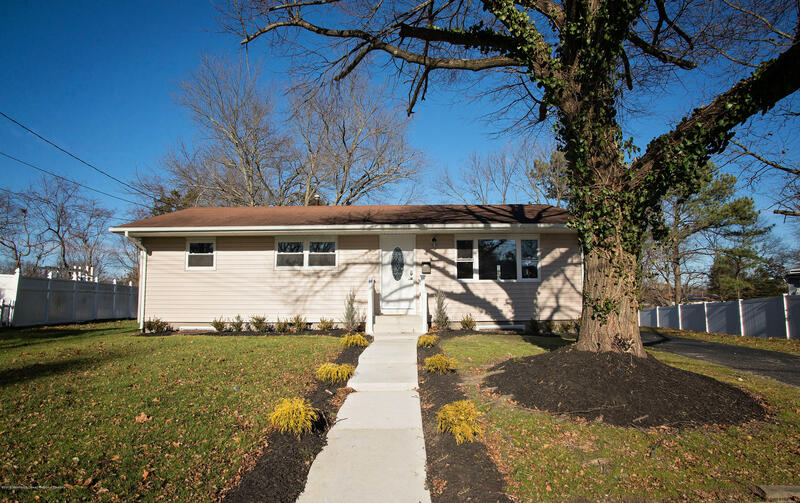 Completely redone, cozy, 3 BR, 3 full bath ranch with beautiful, full finished basement. Front landscaping enhances the curb appeal. Features include: Brand new and updated nicely tiled bathrooms and plumbing, all new HW flooring throughout, clean white kitchen with granite counters, tiled backsplash, double sinks, modern lighting, and more! Lovely, bright basement has a spacious playroom, two rooms, closet space, and laundry room. All major items are new as well. Brand new large rear deck. Welcome home!